Each of Sony a5000 and Sony a5100 has an articulating screen, allowing you to take shots from difficult angles while still being able to see precisely what your camera is aiming. They also support AE bracketing, a very useful feature that can automatically adjust your camera’s focus to the objects at every exposure range, beneficial in tough lighting conditions and HDR photography. They also support time-lapse recording. Each comes with a built-in flash, but neither provides an external flash shoe. Having a built-in flash is of course very beneficial, as it can become an immediate solution to many lighting and brightness problems. Unfortunately, sometimes we will need an external flash shoe to avoid weird and awkward lights. Neither is weather-proof. – Sony a5100 introduces a more powerful image sensor than Sony a5000. It has a 24MP APS-C sensor, as opposed to the contender’s 20.1MP APS-C sensor. Of course, it is able to deliver larger and sharper images than the contender. – Sony a5100 has a significantly higher number of focus points, 179, than Sony a5000, which only has 25. You can capture more details and pronounce more things in your images with more focus points. – Sony a5100 offers 25600 maximum ISO, while Sony a5000’s maximum ISO is only 16000. – Sony a5100 is not exactly fast for continuous shooting, but at least it has some edge with 6 fps photo burst. You can still rely on it to some degree. Sony a5000 only has 4 fps photo burst. – Sony a5100’s buffer capacity is much larger. It can take up to 67 JPEG shots or 25 RAW shots before taking a break. Sony a5000 can only capture 15 JPEG or 9 RAW shots in burst mode. – Sony a5100’s display screen resolution is much higher than Sony a5000, providing a much more pleasant viewing to your eyes. Sony a5100 brings a lot of upgrades from Sony a5000 that enhance its performance and usability. 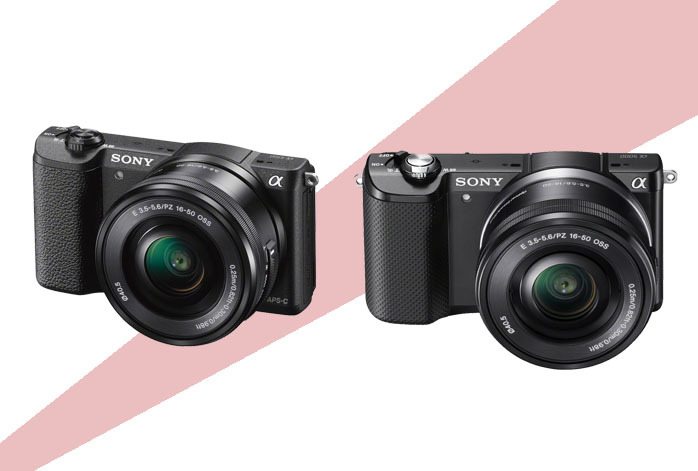 Therefore, Sony a5100 is the clear winner here!